The chance discovery of an unusual looking spider in the backyard of a Grass Valley home has lead to the identification of a new species of arachnid. John Cornish noticed an unusual white headed, black and brown-legged spider on his back veranda in July. Using a jar, he carefully captured the spider and took it to the Department of Environment and Conservation’s Northam office. Staff then called upon spider expert Mick Davis from Wheatbelt NRM, who soon realised the significance of the discovery. “This spider has been nicknamed the albino trap door spider, and is about the size of a 50 cent piece,” Mick Davis said. 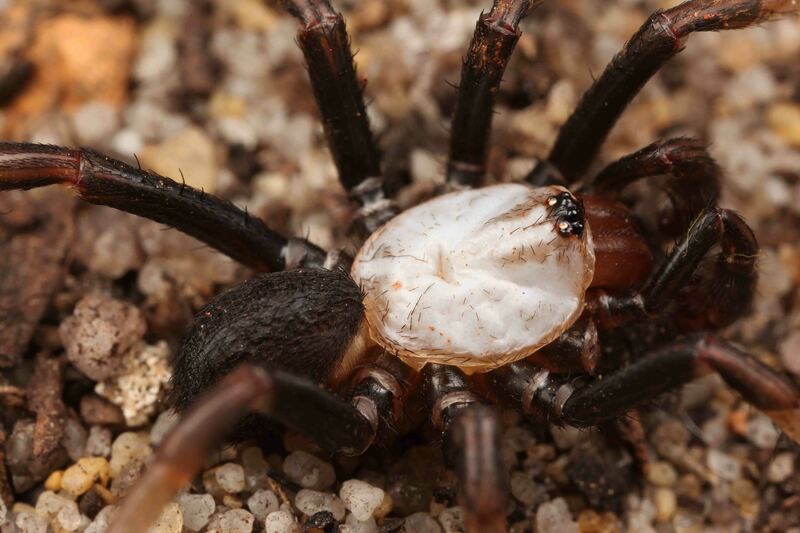 “We’ve handed it to the WA Museum, which has identified it as a new species of trap door spider from the Idiopidae family.” Mark Harvey is the WA Museum’s curator of arachnids and myriapods. He said the species was similar to a group of spiders found further north at Ballidu and Eneabba. “The difference is in the way they mate, and the structure of the male pedipalp which transmits sperm to the female,” Mark Harvey said. “The spider is venomous, but is not considered dangerous.” Mark Harvey said the spider was yet to be formally named. Wheatbelt NRM’s Mick Davis said the discovery raised the question of whether there were other species in the area waiting to be discovered. ”The finding is significant, as it highlights the richness of our wheatbelt backyards - where something never seen before can literally just walk up to your back door,” Mick Davis. “It’s fantastic people like Mr Cornish are keeping their eyes open and making the effort to find out more about our unique biodiversity. “If people reckon they have seen something unusual and want to know more, we’d love them to contact us. ”Or come to the Wheatbelt NRM Super-tent (sites 58 & 59) at the Dowerin Field Days if you are keen to know more about what might be hiding in your backyard.” Media contact: Mick Davis, Wheatbelt NRM, Northam 0429 473 567 or 9690 2250.